David Tarbay is an author, translator and a Tel Aviv University graduate. His list of publications includes novels, stories, reviews*, articles, beside translations of some of the most well-known and valued Hungarian authors – Tibor Déry, Péter Nádas, György Spiró – plays and academic articles. His book “Stalker” (Am Oved 2004) received praise reviews and The President’s Prize for Literature. “The Emperor’s Dream” (Keter Books, 2010) starred in the best sellers listings. His new book, “Outsiders” is due to come out under Keter Books too. I wrote my last book in its entirety right here. Three and a half square meters, half closed blinds, a hundred year old dilapidated table, and a quad-core computer with a damaged blue-ray drive. On the other side of the window, two trees intertwine: it’s unclear who is suffocating who. Beyond the fence, a bush, a path. I spy through the half shut blinds, waiting for my daughter to return from school. She stops, glances through the bushes, which are growing even faster than she is. If they aren’t trimmed soon, only a slight crack will allow us to see each other. The new book takes place in 2026, in the Golan Heights, Tel Aviv and Southern Israel, but the characters get as far as Singapore, Amsterdam, Zurich and Serengeti. I’ve been a frequent flyer since my first book, so I have practice with movements on the timeline. The plot always beats me to it, and time broadens space. I go over the locations on Google. I check the sound of the bell I refer to, hark back to the sight of the Jumbo plane taking off, watch the flight of a flock of birds landing on a placid lake in the middle of a nature reserve. I check the flight number, the diameter of the jeep’s tires, the exact route of each and every character, until I find myself inside the scene. When I’m in the flow, I sit on the balcony of the Golan Heights house, with the character I’m most deeply connected to, the flower grower’s daughter, the invisible hero of the book, and I sit in the front seat of the detective’s car, a wide board Audi, at 5 AM, while he drives north on the open roads to investigate. It is no longer clear who the inventor is and who has been invented. The spaces are wider than I could imagine. I grasp at pieces of reality, which may no longer be relevant at the time of the plot. I try to deduce, project and turn what is happening today, into the recollections of a character ten years from now. The house will have been demolished, the book shelved. But I will still be searching for the characters. The scarred Golan Heights on Google & the original plan-sheet of the Ramat Gan apartment by Salim Goru Ltd’s, 1957. The balcony has since been enclosed. Sometimes I really look forward to getting stuck in the middle of a paragraph only so I can go out for a walk, alone, or with the kids. I can get stuck in the middle of a paragraph even after two or three weeks of not opening the book at all. It’s wonderful to get stuck in the middle. One can also get stuck on a Saturday morning, or in the rain, at 8 Pm, an hour after the heat wave has broken. I’m free to get stuck whenever it suits me. One doesn’t even have to write in order to get stuck. With the kids I go to a picturesque park. By myself I go on an hour’s walk, on a fixed route. Instinctively, I would say that this is the real space, the ongoing forward movement, the space in which the pieces of the mosaic come together. The little one in his older sister’s boots. 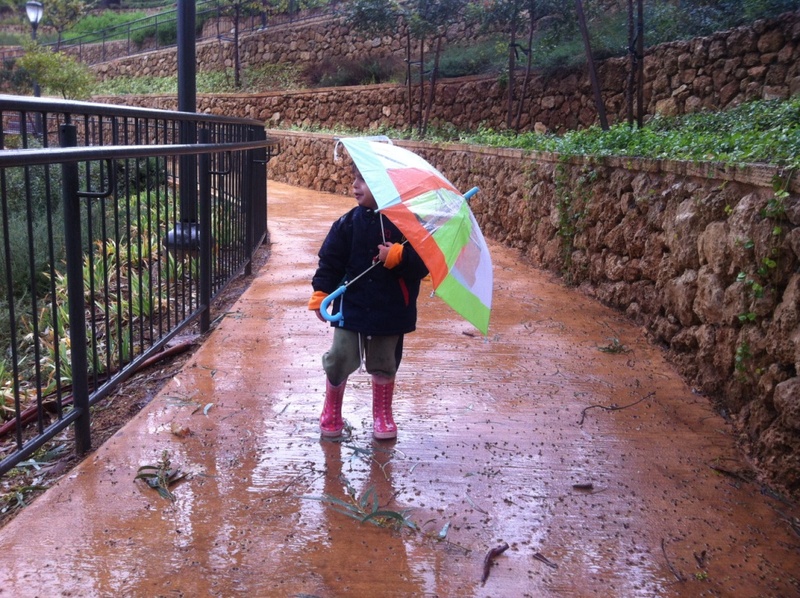 There is no plot problem that cannot be solved by the scent of rain. Some of my childhood memories are connected to ‘guesthouses for authors’, one of the blessed institutions of the staggering Hungarian socialist entity of the late 80s. With my mother, we would go to Zsennye Castle, which was surrounded by a spacious park that was bombed and almost completely destroyed during World War II in a joint heroic effort of the Germans and the Russians, but “one thousand year old” oak trees grow there till this day. With my dad we used to travel to Szigliget, to a palace built in the 18th century, which was later passed into the hands of the rich Eszterházy family. 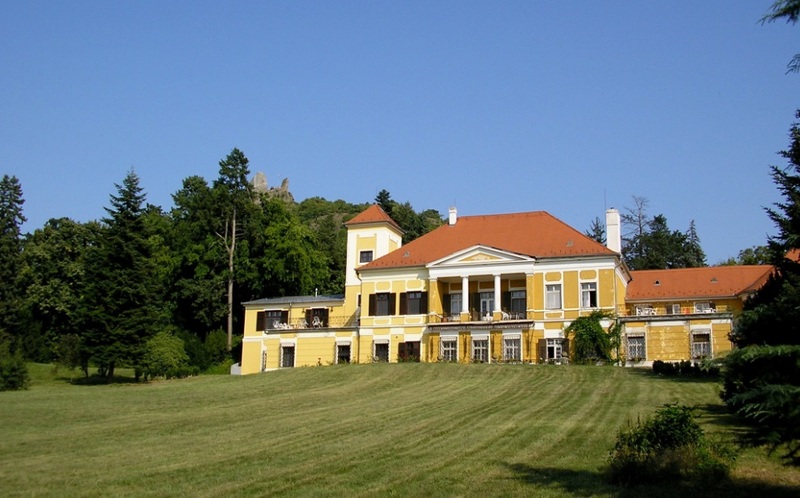 One of the family’s descendants, Peter Eszterházy, became a famous author who honored this humble castle with his presence. Well, if a perfect space to create in exists (I doubt it, but suppose it does), I find it hard to think of a better candidate, although through a child’s eye, the honorable authors and painters were no less immersed in intrigues, hearty meals and football games than they were in creating. Orna Coussin is a writer and a writers’ mentor*. 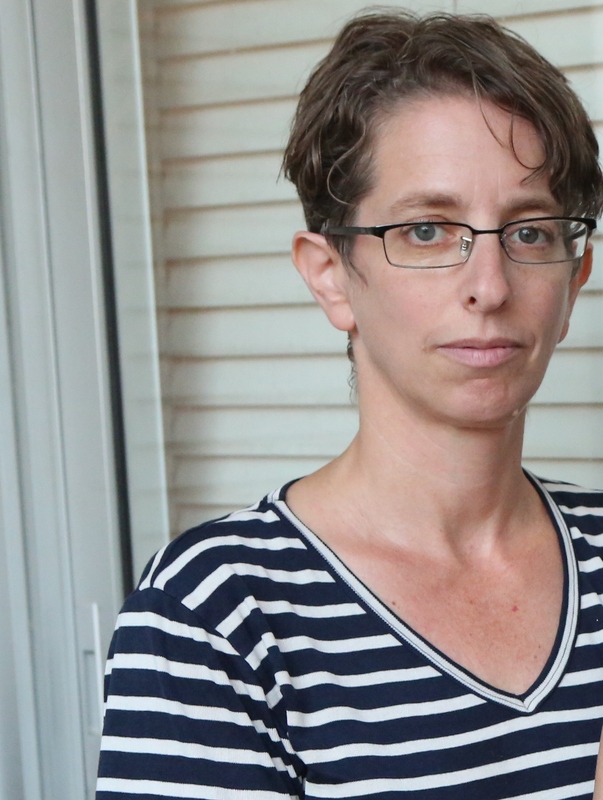 She is passionate about the genres of creative non-fiction – the personal essay, the memoir and the diary – that are yet to flourish in Israeli literature. She also writes, and loves to read, short stories and novellas. In 2009 she received the Prime Minister Award for Hebrew writers. Between 1997 and 2007, Coussin wrote cultural commentary for the Haaretz Daily newspaper. She was highly acclaimed for her feminist perspective and her sharp critique of Israel’s consumer culture. 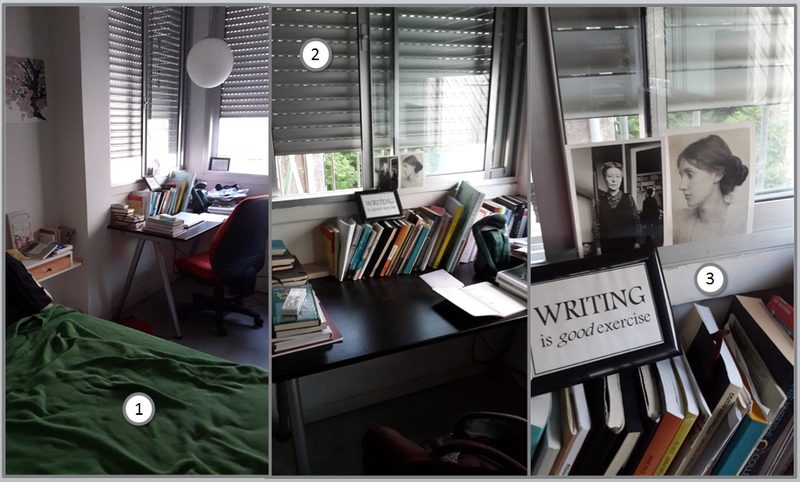 Currently, Coussin is writing a blog about writing*, and will soon publish her fifth book, titled “How to Write”, a writers’ guide and an essay about writing. 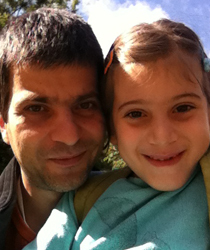 Coussin lives in Tel Aviv with her partner Michal and their two daughters, Naomi and Yael. When I was a writer for “Haaretz Daily”, I took great pride in being able to concentrate on my writing in the middle of the chatty open space of the editorial offices. It took me a while to realize that this ability is limited only to writing of the journalistic kind. Now, my best writing is done at my small, simple corner desk in our quiet bedroom, when I’m alone at home, deep in my silence. Only urban sounds in the background make for white noise, the internet is cut off, and the phone is shut. These occasions are quite rare, though. 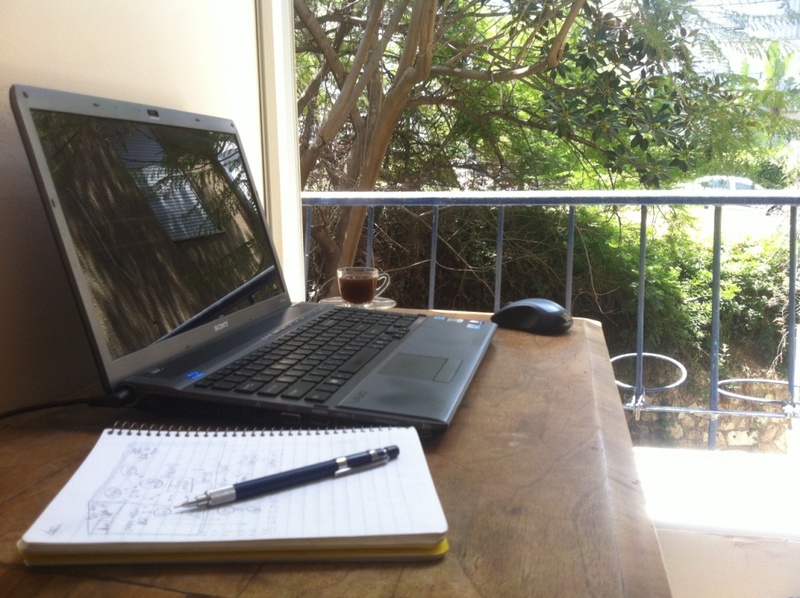 A writing morning begins for me when I pull down the shades. I can’t stand the harsh Mediterranean daylight coming in through my eastbound windows. “Writing is a thoroughly shady affair” wrote John Updike in “Self-Consciousness: Memoirs”. I do believe it is. Diving into darkness and lighting it up is a large part of what we do. I take pride in mentoring writers of creative non-fiction. I enjoy seeing their writing evolve: become more candid, precise, clear; closer to that which they had imagined. I wish I had been mentored myself, growing up as a writer. But sometimes I think that in a way I have been and still am. I put pictures of my self-appointed mentors on the window sill in front of me when I write. I learned and still learn so much from Virginia Woolf and Simone De Beauvoir: how to write and why, and to what extent may I be true to myself and where to look for courage, and what are exactly and truly my challenges as a writer. I also learn and have learned from E.B White, Lorrie Moore, Lydia Davis, George Orwell and many more. I will add more photos of these inspiring people to my window sill the minute I can put my hands on them.